Okay, I am going to out myself here. 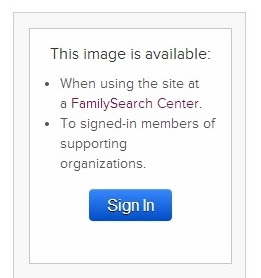 I had been meaning to visit my local FamilySearch Center for the longest time and somehow just never got around to getting there. Truth be told, I didn't quite know what to expect. That little itty biity word F-E-A-R got in my way. Well this past Wednesday, I pushed that word aside and finally went. 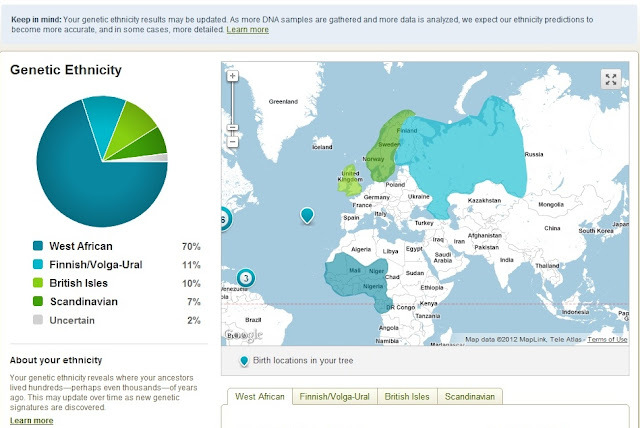 Now back to the subject of visiting the FamilySearch Center. I am so glad that I went! 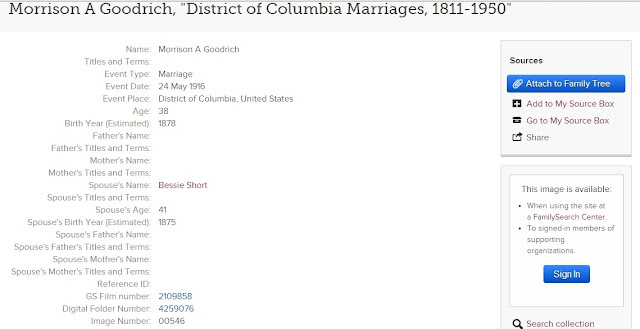 When I did a search on Morrison Goodrich at home on FamilySearch.org, I came across something that I had seen before but never took action on resolving. 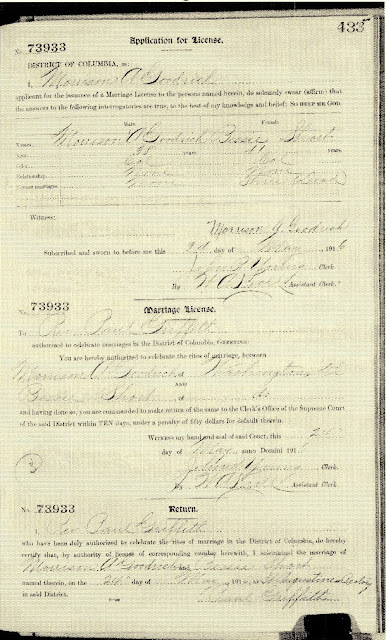 I wanted to access Morrison's marriage record but here's what came up. Here's a close-up of what I'm talking about. So I went to my local FamilySearch Center and met the nicest folks. They gave me a tour of the facilities and resources available. I am now aware of the hours they are open and again I am reminded that there are bunches of us family history folk out there. It's good to meet some face to face. Which reminds me that I have to find time to travel and go to a conference. That is on my to do list for the 2014! Anyway I obtained a copy of the marriage record for Morrison Goodrich and his wife Bessie Short! While there I also made a printout of his death certificate. To my cousin Jane, I am still working on digging up info! Image courtesy of FamilySearch.org: "District of Columbia Marriages, 1811-1950," index and images, FamilySearch (https://familysearch.org/pal:/MM9.1.1/XLWC-7ZK : accessed 14 Sep 2013), Morrison A Goodrich and Bessie Short, 1916. 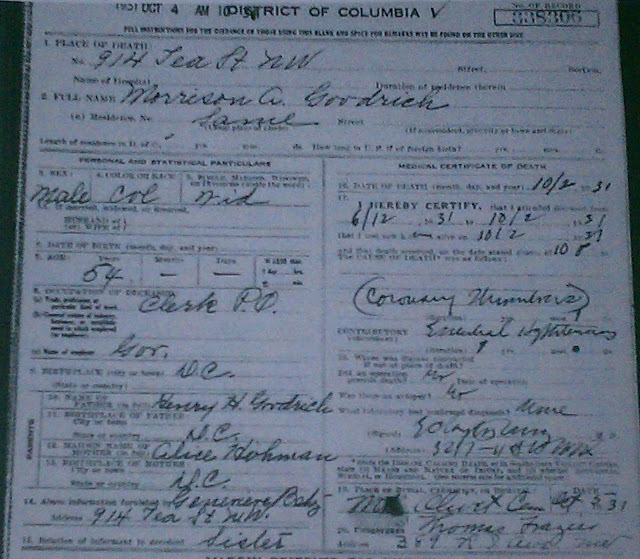 FamilySearch (https://familysearch.org/pal:/MM9.1.1/X2VD-VPL : accessed 15 Sep 2013), Morrison A Goodrich, 1931. 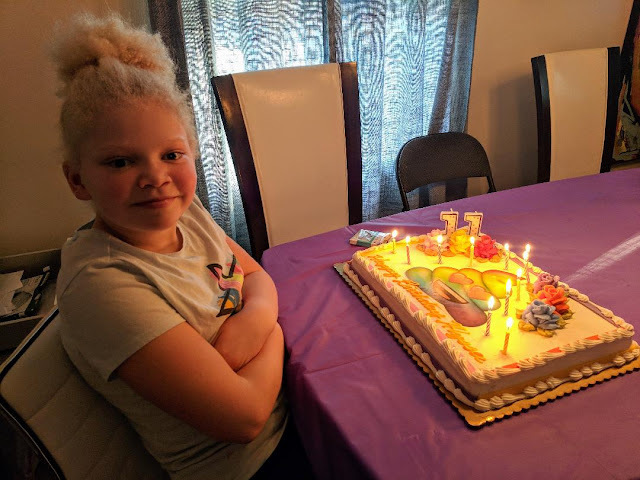 Congrats on your find. The neighborhood where 914 T Street, NW is located, is around the corner from the U Street & Shaw Metro Stations. This is historic neighborhood, there are lots of music venues, good food and it is close to Howard University. Thanks Patrick for the info! Very good to know. I hope your story will get me out to my center. 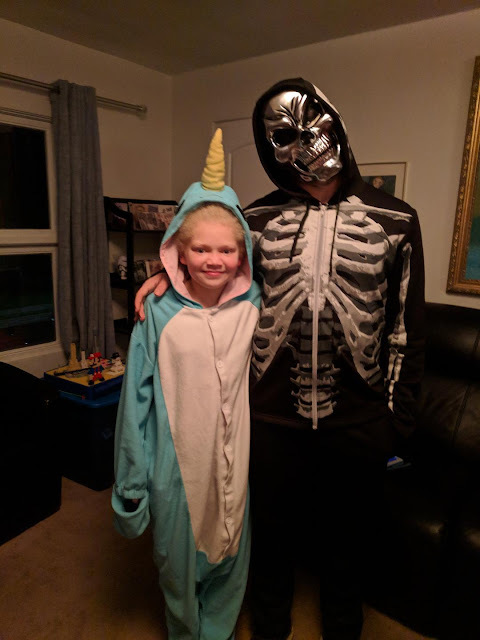 I, too, have been putting it off for way to long.